The adjustable dado jig featured in ShopNotes Issue 76 makes it easy to rout perfect-fitting dadoes of any width — even to fit plywood, which is typically a touch thinner than its nominal thickness. 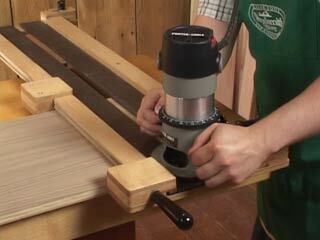 The jig features a self-clamping mechanism, so there are no clamp heads to get in the way of the router. And best of all, the jig can be set up quickly.